A must see when in Bali. After buying a ticket ($10) you walk 200 meters past souvenir shops and cafes towards the rice fields. Remember to bring a hat and a bottle of water as it gets really hot and humid and takes a bit of time to get down towards the fields. 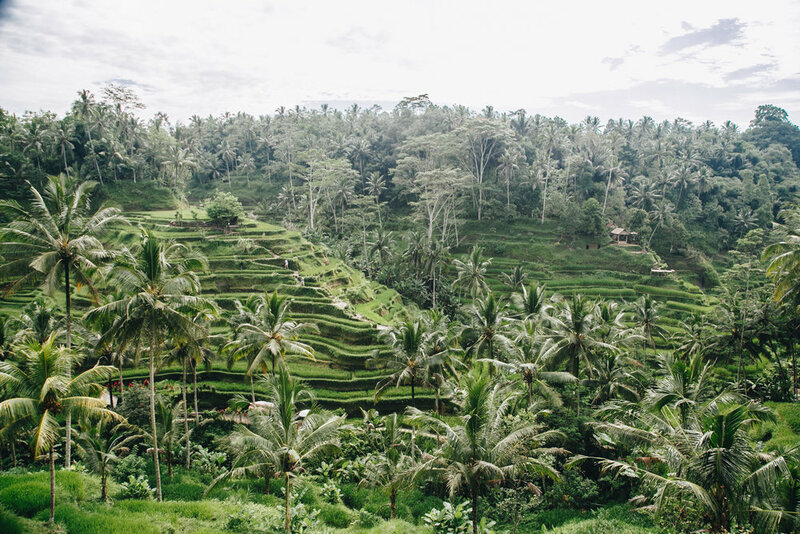 I'd recommend doing some research into how rice fields are created so you can truly appreciate the labour, skill and irrigation system required to make these incredible luscious fields. I read a few reviews before contemplating whether or not to make my way here but decided to check it out. Upon my arrival I was informed that it'd cost $35 for unlimited usage of four swings . The entrance fee also included unlimited access to soft drinks, a lovely little buffet-styled-lunch as well as dessert. You simply fill out a form upon arrival - i'd recommend getting there a little earlier to avoid lines! A magical swing is suspended from the trees in the middle of a tropical forest in Kamandalu, Ubud. Taking personal relaxation to new heights you get to enjoy a bird’s eye view of the surrounding natural landscape. It is shaded by a canopy of lush green foliage and cooled by a soft whisper of mountain breeze. Inspired by the growing trend for wholesome food and eating well, Awana Bar presents an exciting new menu of healthy lunch options featuring a range of super bowls and other delicious dishes. 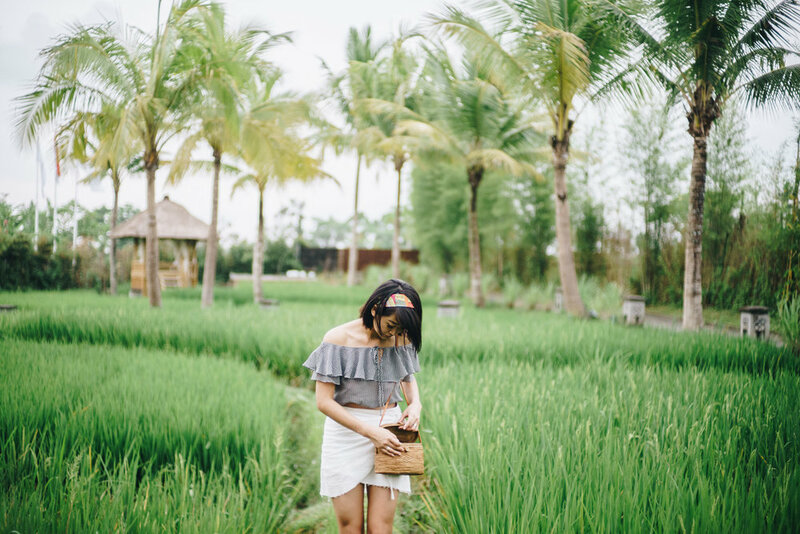 The menu is driven by the freshest possible ingredients including seasonal fruits and organic vegetables grown in the cool highlands of Bali. Lunch is served in a delightful setting overlooking a backdrop of tropical greenery. 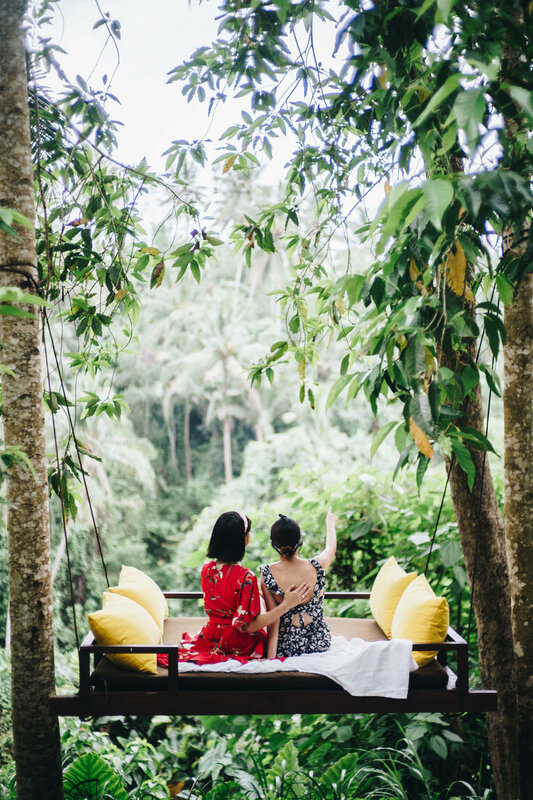 I opted to stay at Kamandalu which was the perfect choice of accommodation which gave me access to multiple pools including an infinity pool, Chaya Spa & Rumah Yoga. Lovely tranquil escape from the hustle and bustle of Sydney.